Haiti: The faith of those who came before us. One of the neatest things about being in Haiti two months after the earthquake was seeing the faith and work of those who came before us. 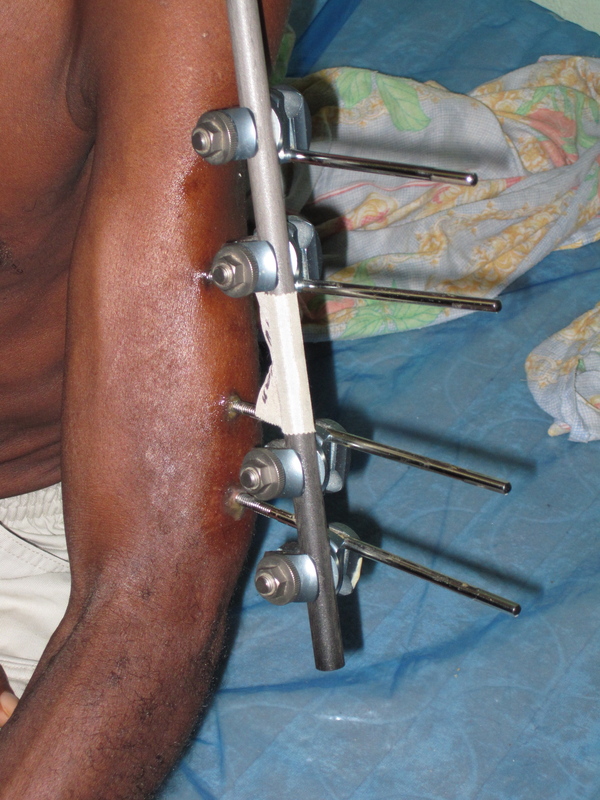 For example, there are many people in Haiti that still had external fixators holding their bones in place. External fixators are designed to hold the bone in place so that the bone and surrounding tissue can begin to heal. Once the healing has started with the bone in the proper place, the external fixator (made up of rods, pins, and bolts) can be removed. Usually the bone needs to then be put in a cast or splint while it heals the rest of the way. And then of course the cast will need to be removed. After the quake physicians put external fixators on bones having the faith that someone will come along with the skill to re-xray the bone and continue with the plan of care. This gentlemen had a fixator in place for two months. We had to clean around the pins everyday to make sure it did not get infected. Thankfully, our doctors were able to remove this, and many other, external fixators. 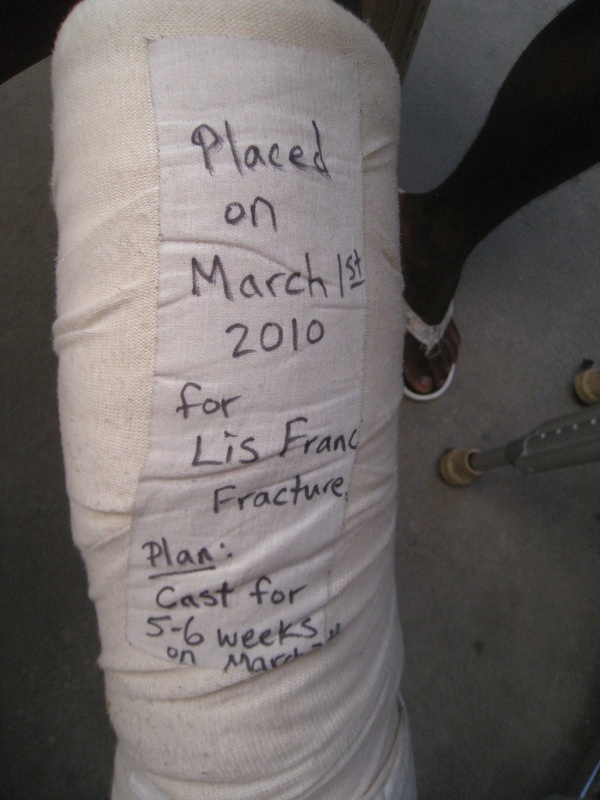 Knowing that follow up might be an issue, they often wrote their plan of care right on the patient. Here is an example of how medical information was passed along. Interestingly, this note is in English, a language the patient probably cannot read. One patient had three long strips of tape down the length of her arm. They said what surgery the patient had, when the splint was to be removed, and what type of range of motion exercises were appropriate! Perhaps we found the solution to health information exchange and technology… just tattoo it right on the patient! In all seriousness, it was wonderful to see hope and healing being restored to the injured and to see that even in the worst of circumstances a little ingenuity can help improve patient care and follow up. Posted in Medical Missions and tagged disaster relief, external fixator, haiti, medical chart, relief work. Bookmark the permalink.